The following article is based on information obtained by the author while undertaking a comparative study on African nations’ competitive statuses for clients of IOA. Other IOA research is also referenced. Economic liberalisation, giving African consumers wider choices and cheaper goods and services through greater competition, is taking its time in the commercial aviation sector. Most African nations are signatories to Open Skies treaties that, if implemented, will allow African airlines to pass through African air spaces and land at African airports without having to pay heavy taxes for the privilege. This would make inter-Africa flying cheaper for passengers and increase passenger and freight volumes, also giving a boost to the tourism sector. However, African governments are rather fond of their tax revenues and are not implementing these agreements. Nonetheless, there are signs that market forces are beginning to transform Africa’s commercial aviation scene. Mergers and acquisitions are more common, and a new generation of aircraft is allowing new inter-African air routes. These medium-range Boeing and Airbus planes are smaller than jumbo jets but have the same range potential, which allows large numbers of passengers to fly from Nairobi to Lagos or Maputo to Dakar. Before, air travel to African locations from other African locations often required flying all the way to Europe to change planes. The downside is that the opportunities offered by the new aviation age have tempted governments to revive long-dead state airlines. These air carriers have been mothballed for years after their continuing unprofitability proved too much of a strain for national treasuries. On July 18 2018, 15 years after Nigeria’s state-run airlines, Nigerian Airways went out of business. Nigeria’s aviation minister used the occasion of England’s Farnborough International Air Show to announce a new state airline, called Nigeria Air. While Nigerians were less than enthusiastic about the operating costs, government revealed that private investors would be shouldering much of the costs, although the investors’ names were not immediately known. There seems to be a definitive rule buttressed by history that state-owned airlines cannot be profitable. The reasons for the lack of profitability and in some cases solvency are many. Firstly, there is government’s fundamental lack of business know-how that culminates into poorly managed state enterprises, compared to the efficiency and imagination of the private sector that relies on its business acumen rather than ceaseless capitalization from taxpayers. Government airlines are seen as prestige projects, as advertisements flying the national flag across the globe, particularly valuable when a head of state is aboard. Cronyism, patronage and nepotism have led to airline boards staffed by unqualified members with political connections. As a result, such African aviation behemoths like South African Airways have been bleeding losses for decades. A 2017 operating loss of US$ 208 million has become a political scandal for President Ramaphosa’s administration, which is strapped for cash to provide South Africans with basic services. With privatization unlikely because SAA is an unattractive acquisition, aviation experts suggest that liquidation for the air carrier is the only possibility. However, there are exceptions to all rules. Ethiopian Airlines is African aviation’s exception. Ranking in July 2018 as Africa’s best airline by the airline rating company Skytrax, Ethiopian Airlines is also Africa’s largest airline by revenue and profit, according to the International Air Transport Association. For the 2016/2017 financial year, US$ 2.7 billion in revenue was generated from an 18% rise in passenger numbers, to nine million. 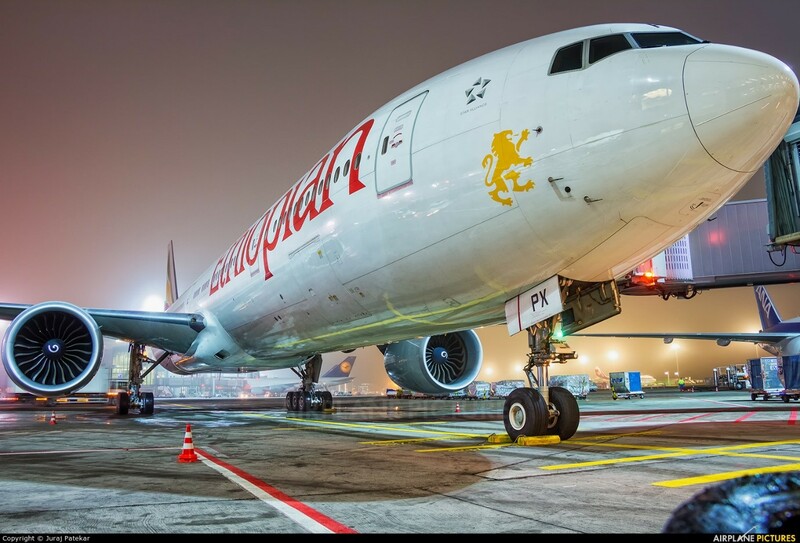 Given Ethiopian Airlines’ profitable record on and off the air tarmac – the airline runs an aviation academy in Addis Ababa that trains a new group of African pilots – it is perhaps good that the company is branching out on an acquisition spree. Floundering state airlines, in other countries, are getting lifelines such as Malawi Airlines. Ethiopian Airlines purchased a minority stake in 2013 to use the carrier as an extension of its Southern Africa service. In January 2018, Zambia’s moribund national carrier, out of business for two decades, was given new wings when Ethiopian Airlines signed an agreement with government to buy at 45% stake in Zambia Airways and help re-launch the carrier. Ethiopian Airlines is negotiating with Mozambique’s government not to get involved in the struggling state-owned LAM but to launch an entirely new airline which it would fully own. The company is in also talks with Chad, Djibouti, Equatorial Guinea and Guinea to create new airlines as joint ventures with those governments. Ethiopian Airlines’ growing hegemony may be hard to overcome, even if other airlines should become sufficiently profitable to afford a challenge. However, the air industry business is notoriously unpredictable. Factors such as fuel prices and accidents have sealed the fate of air carriers in this highly competitive sector. 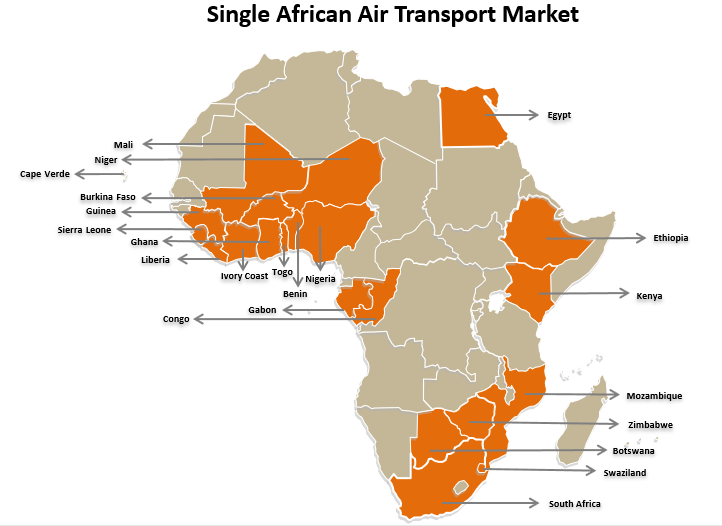 More competition is assured on Africa’s air routes because sooner or later countries will have no choice but to honour their Open Skies treaty obligations. If state airlines cannot become competitive, a new age of private African air carriers seems inevitable. Your needs are unique and we would like to hear about them. Consultancy Africa Intelligence (Pty) Ltd was established in 2007 and our exponential growth and refined focus inspired a transformation into In On Africa (Pty) Ltd. This transition from CAI to IOA has been guided by our firm’s commitment to all things African, and to contribute meaningfully to the growth and empowerment of Africa.